I really wanted to running today. I miss the routine of it, the way it clears my mind, the way I feel after. But I knew that I probably shouldn’t go yet since I had a chiropractic adjustment yesterday and my back was a little tender. Plus, I knew it would be smarter to wait at least the two weeks suggested after running a marathon. So I checked the schedule at the gym and decided that yoga would be the appropriate activity for me today. Well, note to self – Wednesday 5:30 yoga is not for me. 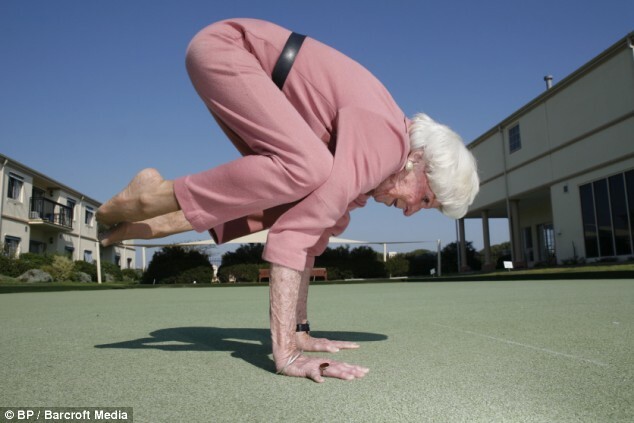 It’s what I’ll call – “Geriatric Yoga”! It wasn’t as bad as I thought it would be, but it wasn’t exactly what I needed either. First of all, the instructor was 10 minutes late due to hip and knee injuries. She hobbled through the door, letting us know we had to set up her double mat for her, and she would have her friend do the sun salutations for demo. She was entertaining enough though with her side reversals and crooked body, and the class was enough to get me moving for 50 minutes… yep she shortened the class from 75 minutes. But you know what, good for her, making it to the class anyway. I just know I can’t go back! You need hot yoga . that will get you going!! I have not done it. Chanelda has & I guess with the extra heat it makes for a very good work out.